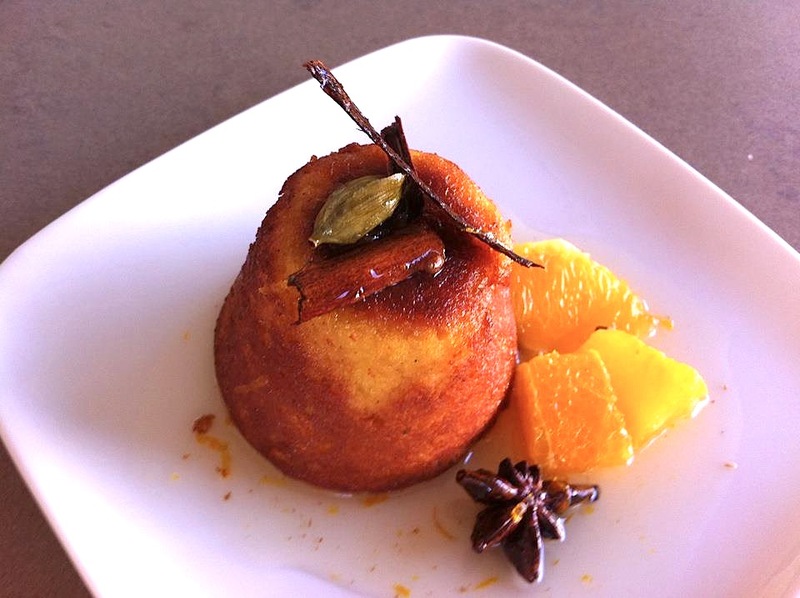 Middle Eastern orange cake with spiced syrup (gluten and dairy free) | Hey Bernice! 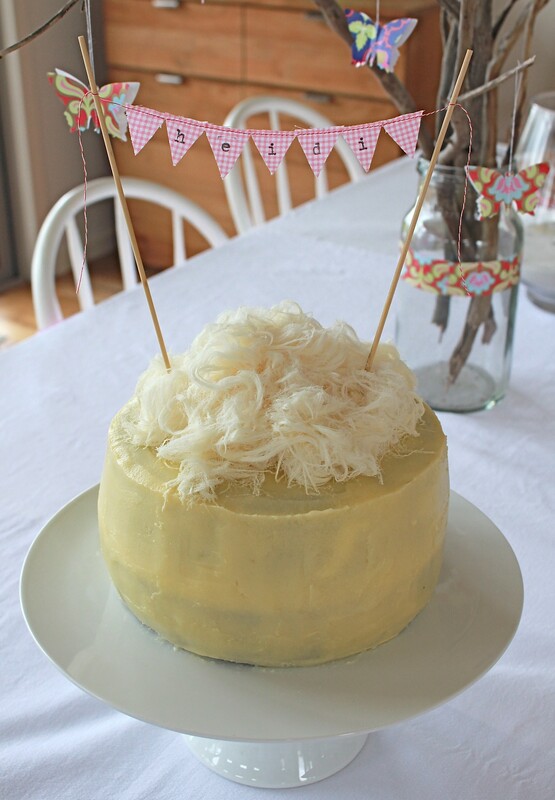 We’ve all had a moment when we need to create something sweet for our gluten and/or dairy free guests…. and sometimes it’s difficult to know where to start? Well here is your answer, times two! I always receive great feedback on my Flourless Chocolate Orange cake at parties (it is also dairy free! )…from those with a food intolerance, and those without. This recipe is so easy, and well-received, it is always my go-to! I was a bit bored with always turning to the same dessert option for my gluten and dairy free buddies, so here is a twist on the same recipe. As you can see in the photo, it can also be served up as individual desserts for a more ‘gourmet’ dining experience. Drain, and when cool, cut the oranges in half and remove any big pips. Blend everything – pith, peel and all – in a food processor as smooth as you can get it. Preheat the oven to 180°C. Butter and line a 20cm tin (I prefer a springform tin, as is is a very moist cake, and it is easier to remove). Alternatively bake in individual tins as shown in the photo above. Add the eggs, baking powder, bicarbonate of soda, almond meal, sugar, spices, vanilla and cocoa to the orange puree in the food processor. Blend until you have a smooth-ish cake mixture. 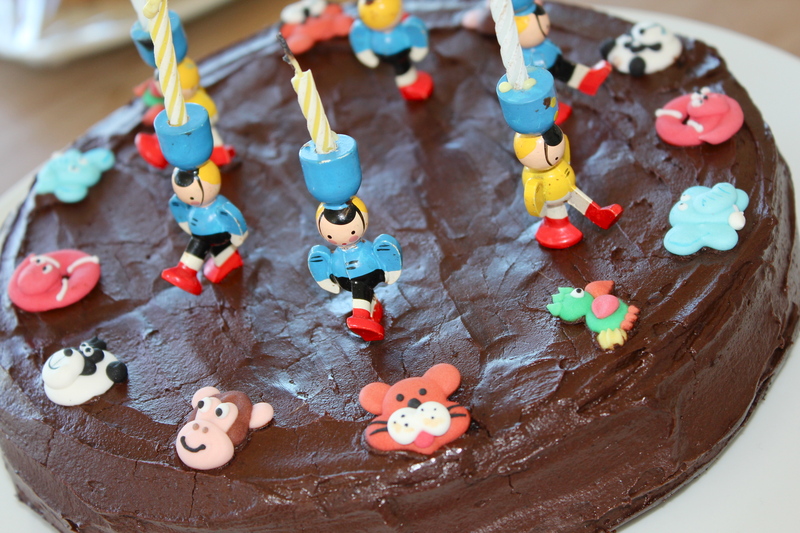 Pour into the cake tin and bake for an hour (test with a skewer – it should come out clean). Check after 45 minutes because you may have to cover with foil to prevent the cake burning before it is cooked through, or it may need a little less than an hour depending on your oven. Leave the cake to get cool in the tin, on a cooling rack. When the cake is cold take it out of the tin. Elaborate garnish – melt 100g of 70% cocoa dark chocolate with 30 g butter and a teaspoon of olive oil, add the rind of an orange. Poor over the top of the cake when cool, allowing to drip down the sides. 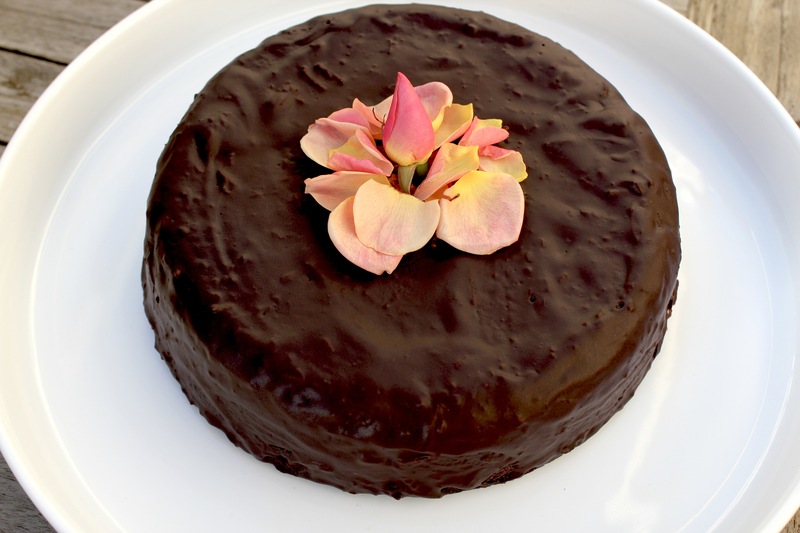 Place the petals of a rose in the centre of the cake, with one rose bud sitting int he middle. Place in Saucepan, bring to boil and reduce until syrupy. Can be poured over the cake hot or cold when serving. Serve a slice/portion of cake with the syrup and some yoghurt on the side. I try and place some of the whole spices from the syrup on each plate to use as garnish, with some orange segments and/or peel. I’ve said it before, but I will say it again… you can make this cake ahead of time and freeze it, it will defrost beautifully when you need to use it. This is amazing served warm, especially on a cold winter night. But is equally tasty cool. The spices with the orange is a match to-die-for! Sounds delicious. I love those flavour combinations. Save it for a cold night, by the fire with a Spanish sherry!